$75 Login For Price!PRICED TOO LOW TO ADVERTISE!!! The ideal solution when you personalize just one part of your card in color. 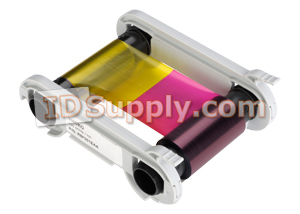 This ribbon has the same specifications as the standard full panel YMCKO color ribbon but the Yellow, Magenta, and Cyan panels are half the length.